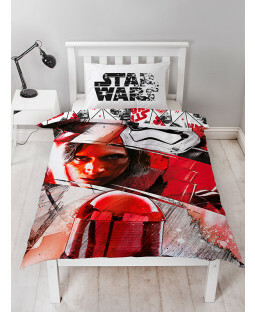 Feel the force of our Star Wars bedroom furniture and accessories at PriceRightHome. 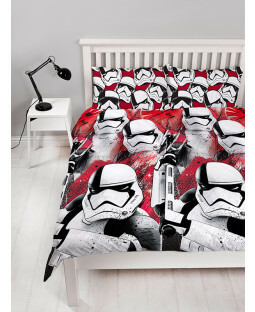 Check out our range of official Star Wars single and double duvet sets, curtains and pillows, as well as a cosmic collection of toys and games. 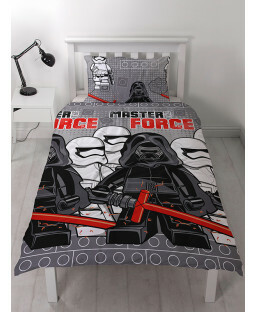 Transform your child’s room into a Star Wars shrine with our selection of décor and accessories. 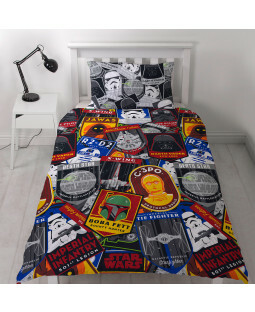 Bedtime becomes the most popular time of day when your little one drifts off surrounded by all their favourite intergalactic idols in our single or double Star Wars duvet set with designs you won't find anywhere else in the galaxy. 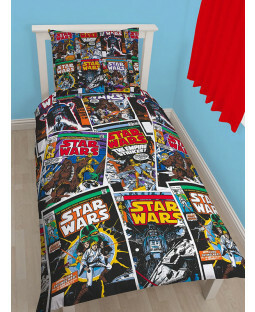 We have cool curtain designs featuring Darth Vader and crew, and sweet sleepover solutions for when your little one’s hanging out with their crew. 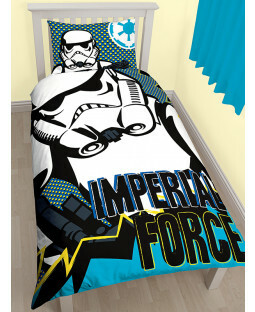 Our Star Wars single bed canopy is awesome addition to any avid fan’s room - if you can find the space for it. 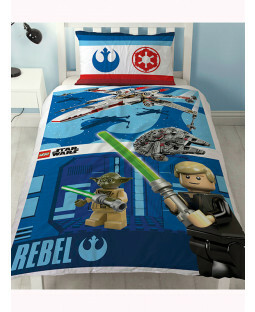 With our range of Star Wars toys and games, your little Padowan can take their Jedi pals with them wherever they go. 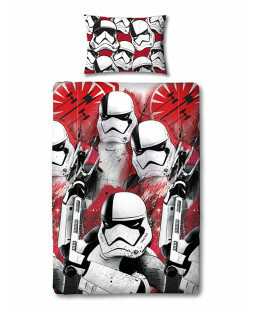 Watch them fly like a spaceship on their new Star Wars skateboard or scooter. DVD players are perfect for when they need their daily Star Wars dose on the go. 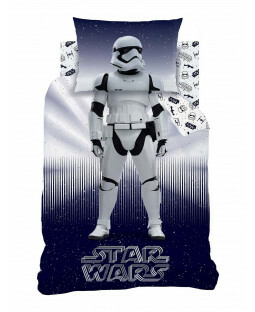 A Star Wars keyring makes a great birthday party favour for their Star Wars themed celebration! With our 110% price beat promise, we certainly separate the light from the dark. 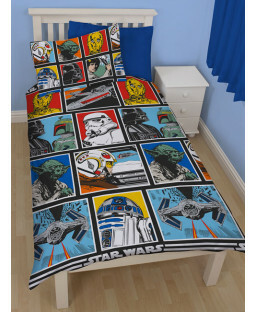 We also offer free UK delivery on all orders, although we can’t guarantee we can deliver to a galaxy far, far away.